How to make an unfinished basement livable and not just tolerable, can be tricky but with the use of some creative space planning, built in advantages and unique finishes, this cold and dark space can be transformed it into one of best living spaces in the home. Take advantage of what a basement is, which is one of the best naturally insulated spaces in your home, making it ideal for cool rooms in summer and cozy warm in winter. Because basements are fully or partially underground they are naturally far more efficient than rooms with exterior walls which are exposed to the outside air temperatures, sun, and wind. Finished vs unfinished basements are not even a contest as a finished basement takes advantage of inheriting benefits along with the added benefit of additional insulation and space planning. The reason less insulation is required in the basement, than compared to other areas of the home, is basements are just simply already far more efficient at regulating temperature. In addition, the furnace is typically located in the basement, making the basement most efficiently conditioned space in the house. Due to efficiency, most times the existing heating and cooling system can be ducted into the basement without needing to upgrade or compromise other parts of the home. Take advantage of genuine, existing elements in your unfinished basement that people try to replicate. Many basement remodel designs make the mistake of covering up too much rather than maximizing the amazing features already built into the basement. Some great existing elements to incorporate in a basement remodel are: Exposed post and beams – Exposing and incorporating structural elements such as beams and posts add a warmth and a contemporary styling especially when these basement finishes are treated with a low sheen finish, and trim out with a clean base molding. Old brick walls – Brick walls and brick structures can be sealed with a clear finish to create a sophisticated but relaxed look while saving paint and drywall costs. Acid stained and sealed concrete floors – Most basement finishes or remodels try to cover a concrete floor when really it is a unique diamond in the rough that just needs a little uncovering….literally. Acid staining concrete removes a microscopic layer of minerals and chemicals and creates an amazing display of patterning that can be enhanced or muted with various tones, colors, and sheens. Once sealed the surface becomes durable and perfect for rugs and carpets, pets, kids, entertaining, and more! How Much Value Does a Finished Basement Add to a House? Finishing a basement is a great opportunity for additional living space without the investment of a full addition or purchase of a new home, but many folks wonder how much value does a finished basement add to a house. The short answer is 81.3% of the cost is recouped at resale based on the 2017 Cost vs Remodeling Report for the average Portland basement remodels. So basement finishing has one of the highest return on investments you can do in a home. Now for the subjective value-add; most homeowners find the addition of a full bath, bedroom, and family room greatly extend the use of the home, allows guest and visiting family a great space to retreat to adds to the homes overall livability. The other value is the cost saved in the alternative to creating more space, which is doing an addition or moving. The addition has its pros and cons similar to other remodeling projects, but not the same return on investment as basement finish. The other option is buying new but the cost of moving includes many intangibles we would rather avoid such as selling our existing home, moving, finding a new neighborhood group, schools, etc. Although you may find the space. it still will not have the design, layout, and style that fits your life. Making a basement remodel livable and valuable necessitates the incorporation of design and construction solutions to turn the unique challenges of an unfinished basement remodel into a completely new space to the home that you love. We recommend working with a team that includes both the design and build components of a basement remodel to get the full value and use out of your space. 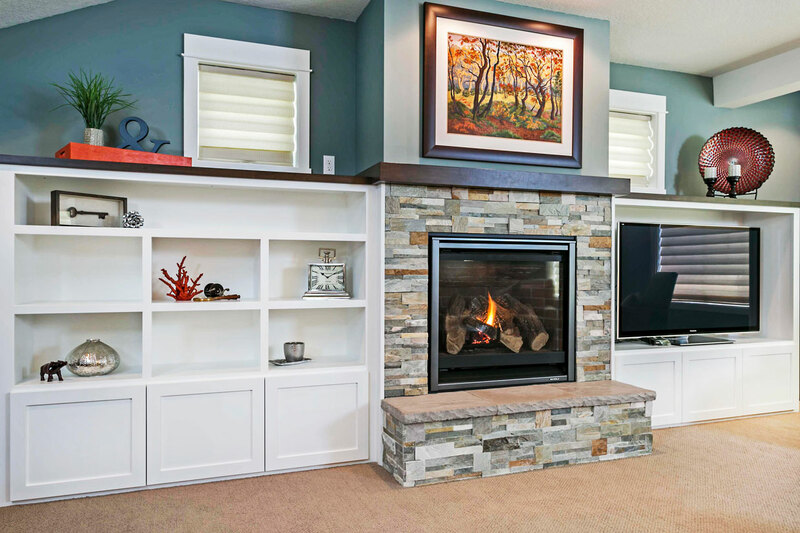 Creekstone Designs is a design/build company who started doing basement remodels over 15 years ago. We have developed this specialized product to deliver spaces that feel like another floor of the home and not just a finished basement. 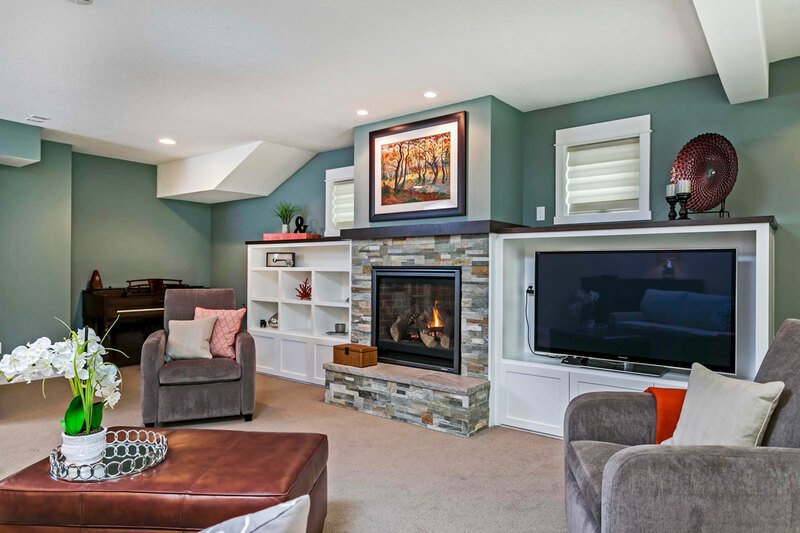 Learn more about our common basement remodeling costs for the Portland area.